Millions of plastic bottles are discarded every day and 90% of them are non-biodegradable. Plastic bottles are the most harmful element for the environment as it contains toxic chemicals which only degrade the environment but is also a serious health hazard for humans and stray animals. So instead just throwing the plastic trash away, I have brought you with few brilliant ideas that to transform the used plastic bottles into something awesome. 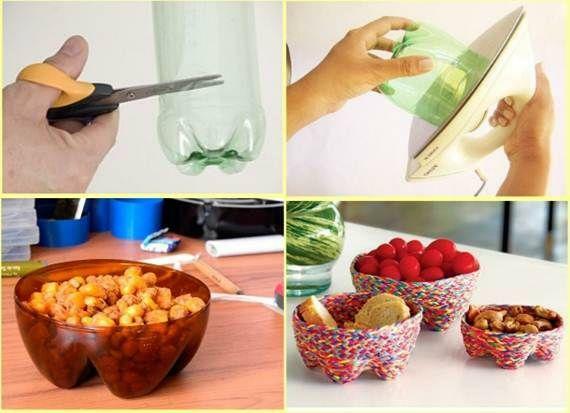 Read on these unique low cost, time-saving, creative and functional ideas to transform the plastic bottles into daily using items. 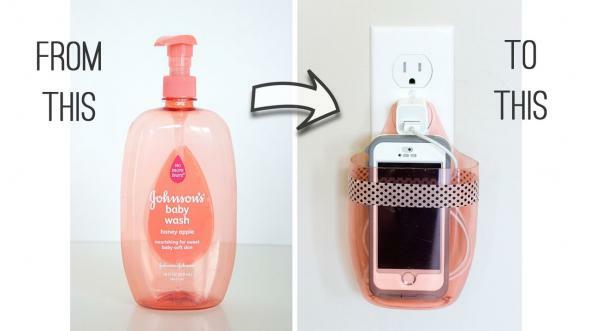 A good idea to get rid of the trail of charging wire hanging down the floor is to make a charger holder out of a used shampoo bottle. You need to cut it in a convenient shape and place it on the holder. The same can be customized using acrylic or spray paints depending on your choice. The problem for all the mothers is assembling the pens and pencils of their kids every day. Well, this tedious task can be stopped with the help of plastic bottles. You need to carefully cut the bottles, rub them on the hot iron to smoothen them and customize them with funny drawings. 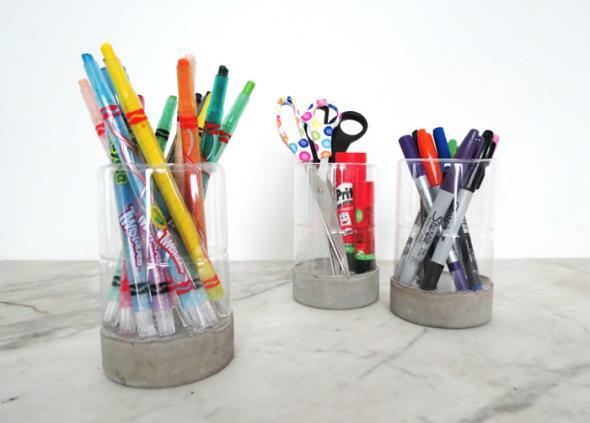 It is a perfect way of organizing the pens and pencils. 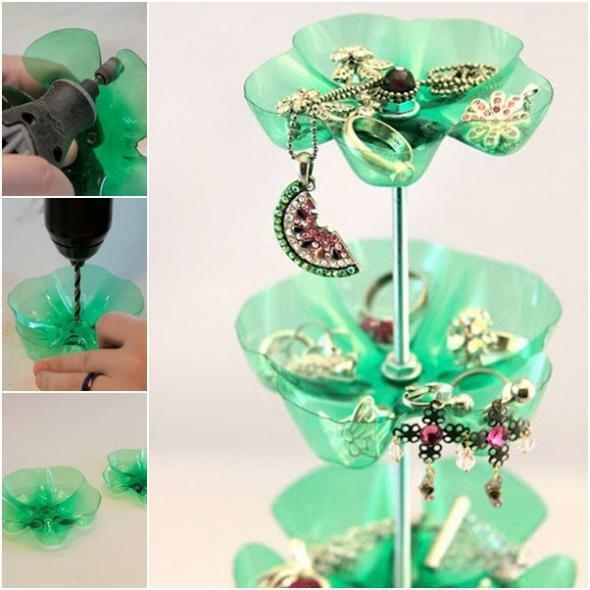 Leftover plastic bottles can be converted into a beautiful snack or candy bowls. Cut the bottles and use a hot iron to smoothen and flatten them and a pretty unbreakable bowl is ready for use. You can customize it using paints or decorative items. 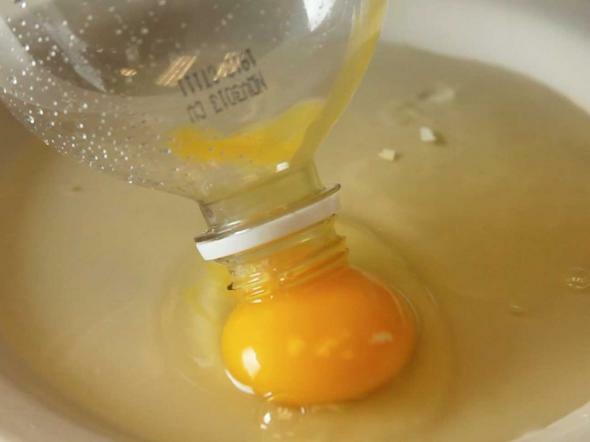 It is a simple method where once you crack an egg in a bowl, squeeze the empty plastic bottle slightly and place the bottle opening over the yolk and once you release the grip, the yolk is sucked inside and white gets separated from the yolk. 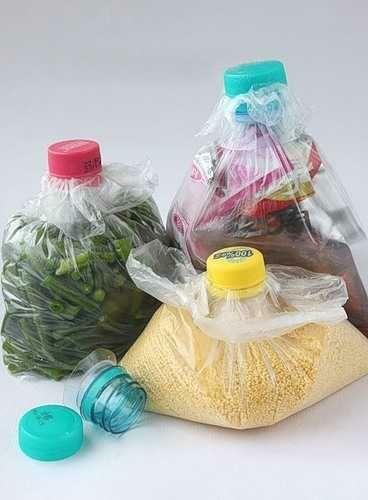 Plastic bottles can be used to seal plastic polythene bags. You need to cut the top portion of the plastic bag in such a way that it has a large opening. 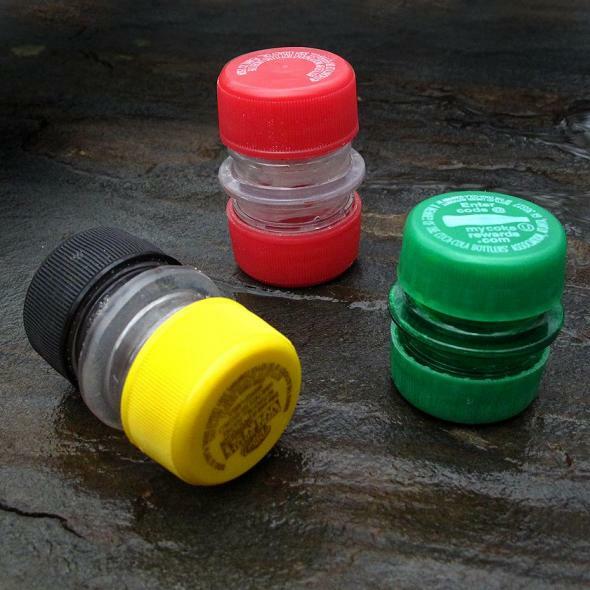 Pass the polybag through the opening of the bottle and screw on the lid. It is a beautiful method of getting rid away from small jewellery items such as earring s or rings which are often found here and there in the house. 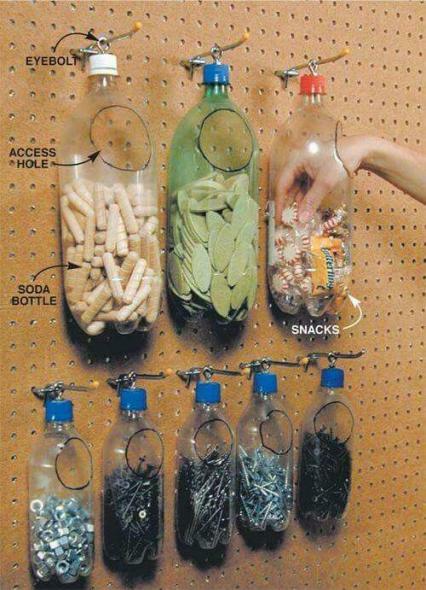 You just need to the bottles from the bottom, insert a metal rod through them and see the magic. This box is a useful tool for keeping all the small jewellery items in one place. Big sized bottles such as bisleri cans can be used as a bag for organizing small toys or other household items. You can tie a string around the bottle for hanging. Old plastic bottles can work as perfect storage containers for pulses, rice and other raw eatables. Eat not only saves time but also money spends for buying the storage containers. 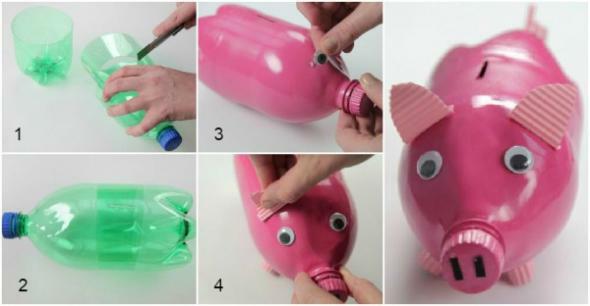 A creative idea to reuse the plastic bottles is making a piggy bank out of them. You need to appropriately make a cut as the size of the coin or a note and then customize it using your creative minds. We always face the problem of a finding a water sprinkler for your garden which does not require any labour work. Here is the solution! All you need is to pork holes is a 2-litre plastic bottle, insert the hose in the opening of the bottle and fix them by wrapping them with a tape. 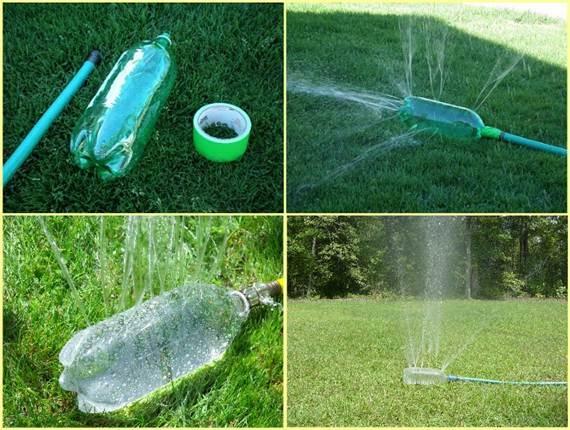 And you are ready with a homemade sprinkler. You can use the above creative ideas and from now stop throwing the plastic bottles into trash cans and make good use of them.